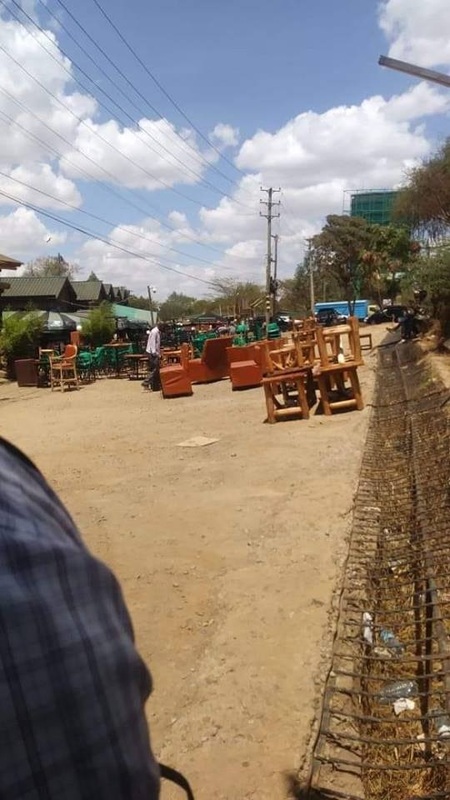 Monday, April 15, 2019 – Reports reaching us indicate that auctioneers have stormed the famous Sidai Oleng entertainment joint along Kiambu Road. The joint is popular among the middle class and famous for serving mashakura. Many businesses have been struggling to stay afloat due to tough economic times. Club business has been the worst hit because Kenyans no longer have spending power. The famous Native Clubs that was located along Thika Road was shut down last year. In the CBD, the famous Mist Club and Rumours have been shut down. Here’s a photo taken when auctioneers stormed the popular joint. The post Biashara imekuwa ngumu! Auctioners raid the popular Sidai Oleng joint along Kiambu Road famous for ‘Mashakura’ (PHOTO) appeared first on Kenya News Alerts.